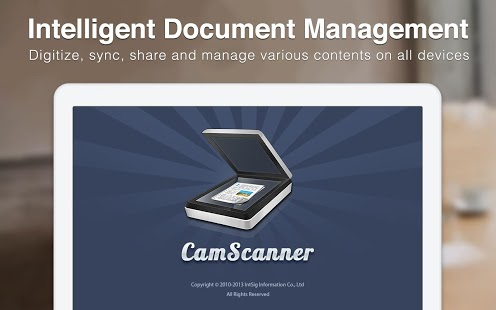 Now you can log in to your account at www.camscanner.net and edit file name, add tag, add notes; manage documents and share document via copying the link or social media. 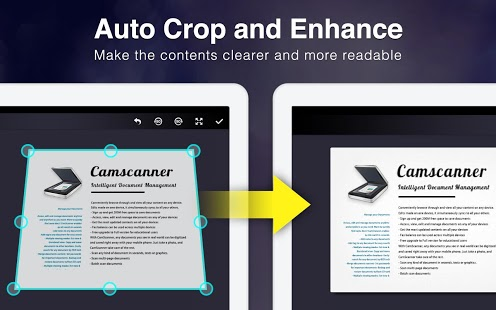 Upload the scanned documents to cloud storages; Fax scanned documents; Share documents between mobile devices and computers via WiFi; Share documents on your mobile or at www.camscanner.net via sending the document link. – Successfully bring a new registrant – 100M/user with maximum number of 10 users.